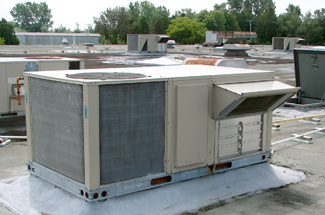 Installing the right heating system goes beyond just providing warmth to a place of business. It also means finding the most cost efficient way to save your business the maximum amount of dollars. Lower heating bills are always better for business. DESCO Services provides commercial heating service performed by a team of fully qualified and trained professionals. We service all types of heating equipment from most any manufacturer. Finding the right commercial heating contractor is important to your business. DESCO Services offer preventative maintenance plans to ensure your commercial heating unit is functioning properly. We will also take the time to explain the root cause of your commercial heating problem and come up with the quickest and most cost effective solution. At DESCO Services, we understand the importance of reliability in the business world. That is why we offer around-the-clock service. No matter what time your heating unit begins to give you trouble, one of our specialists is only a phone call away at 717-846-3384 for our York PA office or 717-637-2216 for our Hanover office or in Gettysburg at 717-337-3053. Convenience is at your service 365 days a year with DESCO.